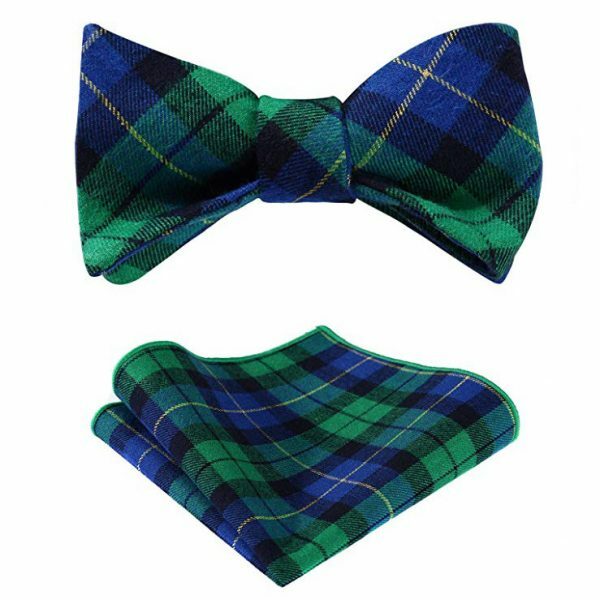 If you are looking to show some Scottish pride or just enjoy tartan plaid, then this is the bow tie for you. 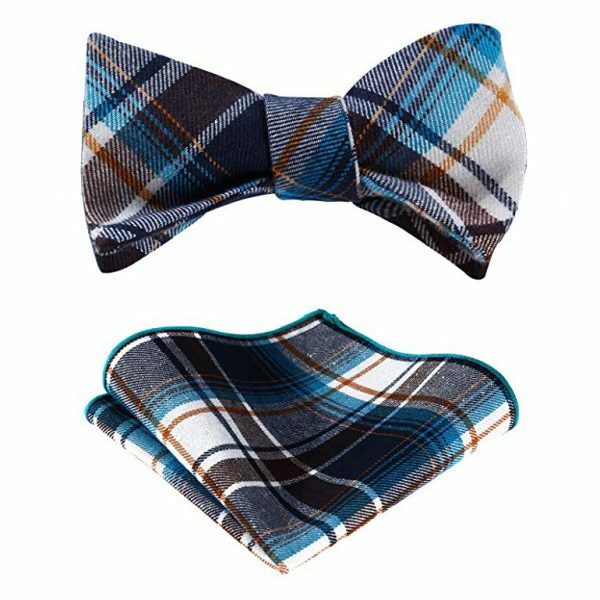 When you want to add style, class and a touch of whimsy to your wardrobe, consider this red and blue plaid bow tie set. 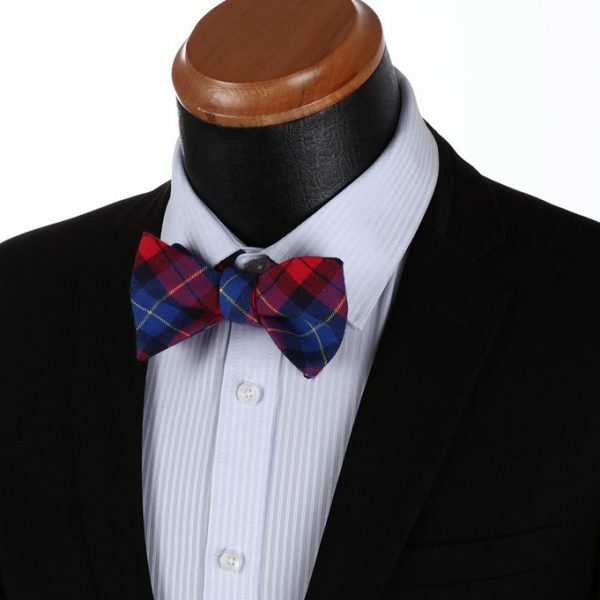 This gentleman’s red and blue bow tie adds an eye-catching pop of color to your accessory collection. 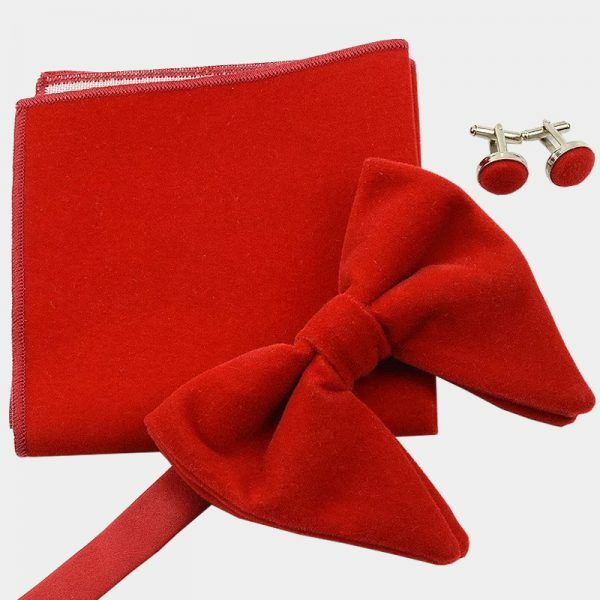 The bright and vibrant colors instantly liven up your blue, black or even red wardrobe choices. 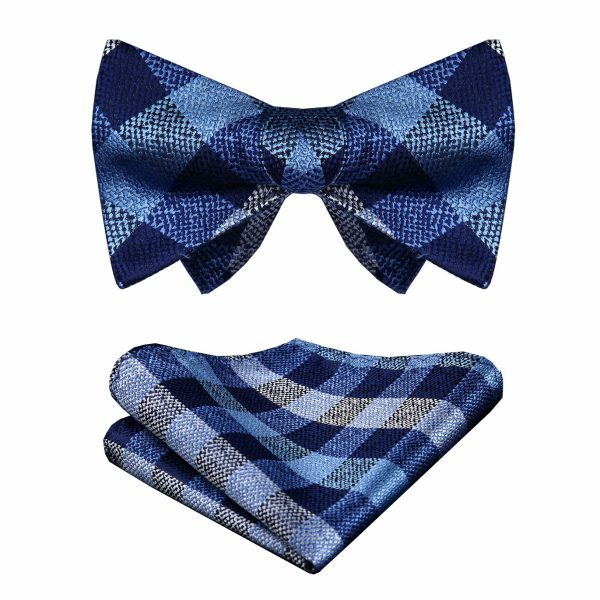 The classic self-tied bow tie set comes with a matching pocket square. 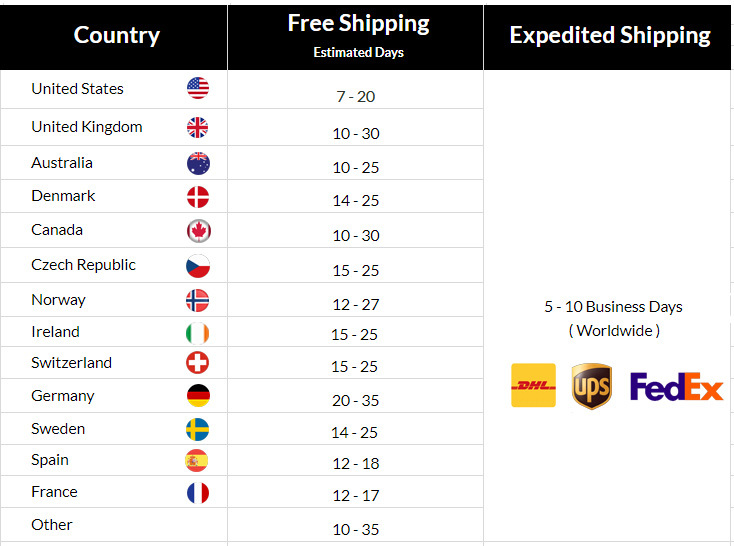 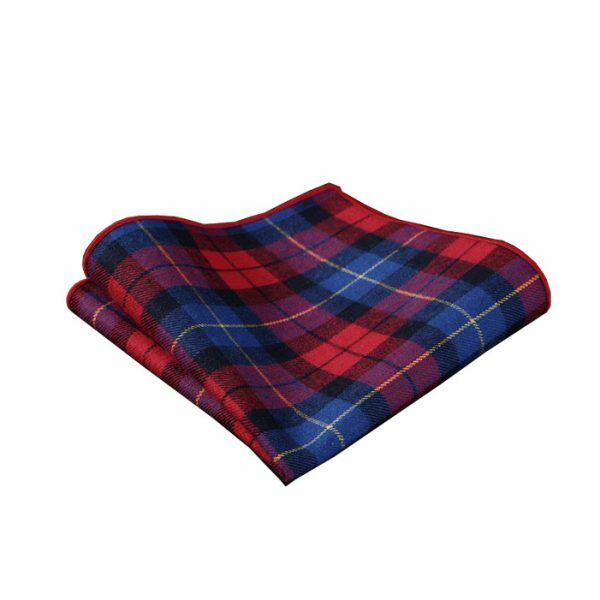 Handcrafted with high-quality cotton, it is soft, resists fading and is comfortable to wear. 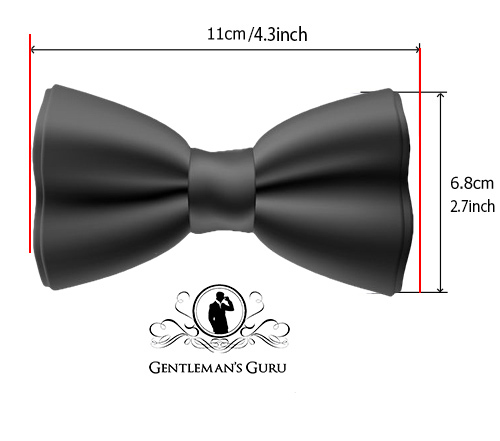 The bow tie is completely adjustable to give you a perfect fit every time. 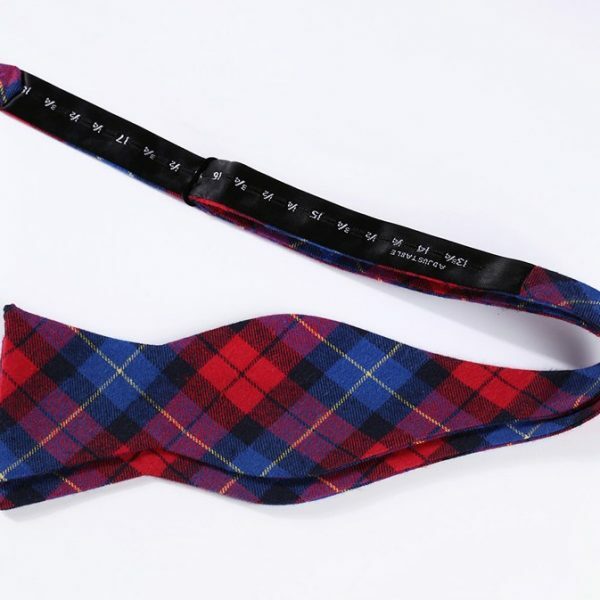 Get yourself out of your necktie rut and slip on this fun alternative for a change. 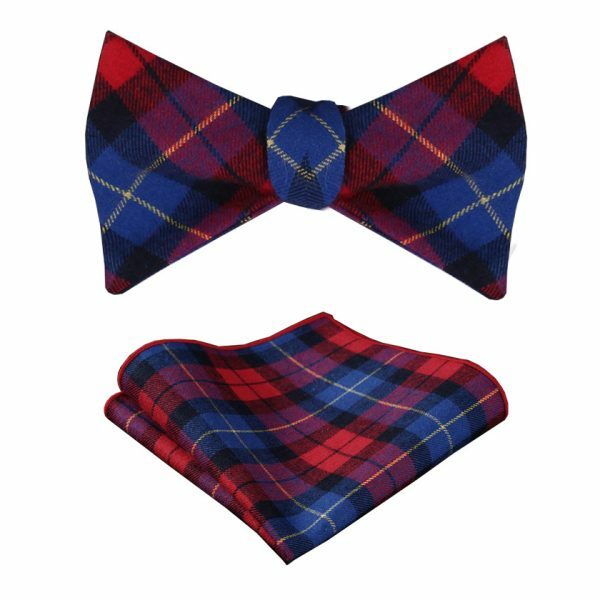 This red and blue plaid bow tie set makes a welcome gift for that snappy dresser in your life at the holidays, Father’s Day and more.